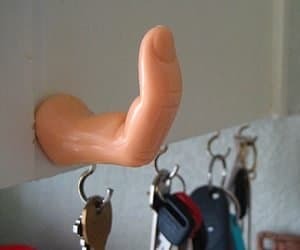 If your into creepy chic style then these finger hooks are for you! These handy fingers are great around the house to use for towels, robes, coats and more! Paint the fingernail to add some color to your hooks!